The First Lord Nanther, expert in blood diseases, particularly the royal disease of Heamophilia, and favoured physician to Queen Victoria, clearly hoped to be the subject of an admiring posthumous biography. 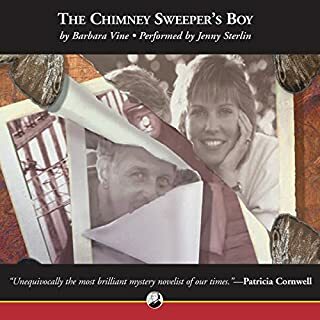 But when his great-grandson, Martin Nanther begins to research his life for a biography, the Martin comes to suspect that his great-grandfather’s old records conceal more than they reveal. Henry had been obsessed with blood, to him, blood was a thing of beauty and he could not fathom how anyone could flinch or faint at the sight of it. As Martin’s research deepens, he begins to wonder whether the mysterious deaths of a number of friends and relatives of his great-grandfather really were mere coincidence or did Henry’s fascination with blood have a much darker side? ©2002 Kingsmarkham Enterprises Ltd (P)2014 Audible, Inc. 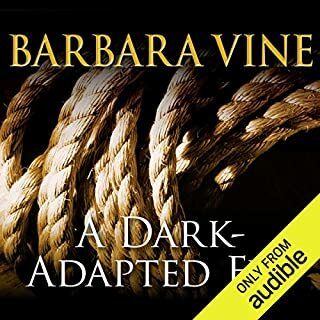 I didn't know what to expect from Ruth Rendell writing as Barbara Vine (except good writing) and feared that this was some kind of gothic horror - but it is an absorbing character-driven story, with a mystery element very secondary. In fact, it's more of a puzzle than a mystery, pieced together in the course of the slowly moving narrative, with storylines nesting inside one another like Russian dolls. Its tone reminded me a bit of French Lieutenant's Woman: Though not set in Victorian England, it evokes and reflects on that period in a similar way as the main character undertakes a biography of an ancestor. The story of writing the Victorian biography is so convincing that at times I forgot I was listening to fiction. As another reviewer pointed out, there are serious editing glitches at around hour 5 and 5:45 of part 1 - annoying, but they don't ruin the listen. This is a slow listen - but that can be good - in fact, to me it's the best novel I've heard this past year (out of approximately 30-40). 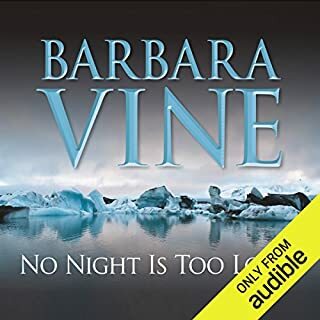 This is one of my favorite Barbara Vine novels, the other being THE MINOTAUR. This is a very good reader, which makes it a good story well-told in every way. What did you like best about The Blood Doctor? What did you like least? 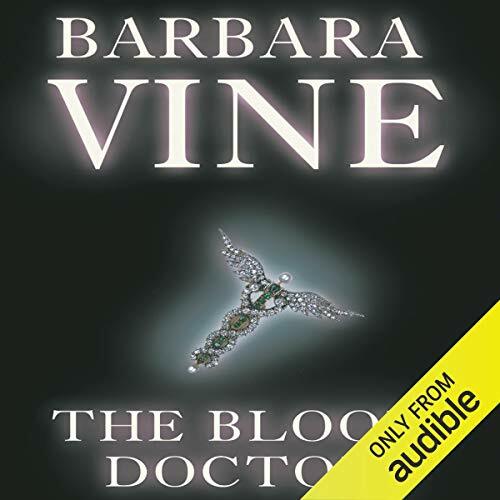 Because the story is told by a British lord, this doesn't have the strangeness of other Barbara Vine novels. 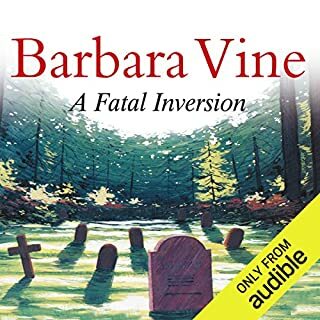 Any delicious weirdness of character, which I so enjoy in other novels Ruth Rendell writes as B.V, is not conveyed by the narrow perspective of the proper upper-class narrator. The biggest disappointment for me, though, was that the motive of the great doctor who is the narrator's ancestor, a motive easily guessed at towards the end and eventually spelled out, is not convincing. And, as another reviewer says, the subplot about the lord's trophy wife's efforts to have a baby soon becomes tiresome. It's meant to, I guess. The motive of the central figure in the family saga is not fully explained. If you're not a fan of Ruth Rendell's Inspector Wexford, try the altogether different genre of her alter ego Barbara Vine's books. Creepy people hold big secrets for convoluted reasons. Chapter 10 contains a repeat of several pages. Editing needed here. Story moves slowly enough without the repetition. 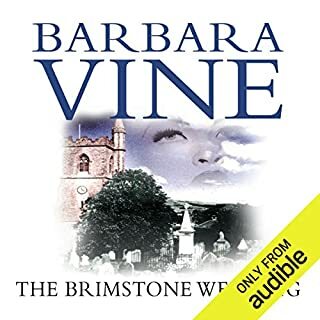 This is among the best of the Barbara Vine books. The narrator, while researching the life of his great grandfather slowly uncovers tragedy. At the same time he can hardly control the way his own life is being swept along. 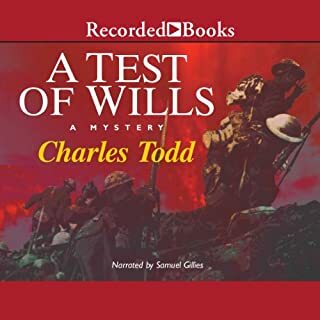 The depth and detail of research, the interlinking themes, the convincing characters, their psychology and behaviours, the final resolutions make this a top quality work and a complete joy to have unabridged on audio book. Struggled to get through it. Tedious and slow. Hard going and not engaging at all. Not top-notch Barbara Vine, but Robert Powell's reading brings out its best. You may be quite tired of House of Lords reform by the end (I was), and I would have preferred more of the history and less of the present day, but it's an interesting idea reasonably well carried out. Robert Powell is an excellent reader and I will certainly try another book read by him. Very slow and no tension. But excellent narrator. The story was very boring and extremely slow. The narrator was excellent but there was way too much about the House of Lords and not enough tension. It was like being at someone's house and being forced to watch a boring holiday slide show. Mental torture. AMAZINGLY SLOW, BORING AND TEDIOUS! Tedious, boring and deadly dull! The "complexities" of the plot lie around an MP worrying about the possible change of law denying landed gentry a place in the Lords. However, historically speaking, this law was not passed and so the self-pitying and naval gazing didn't engage me. Historical element revolves around the family tree of great-grandfather, medical advisor to Queen Victoria, specifically in relation to haemophilia. Genealogy is of interest but rather difficult to follow as more and more family members are added. Without a paper copy impossible to keep track of so many people! These thoughts are the result of listening to Part 1 and I am not sure if I have the tolerance required to spend time with Part 2. Massive admirer of Ruth Rendell/Barbara Vine but am not enthusiastic about this one. Robert Powell, as usual, fantastic narrator!